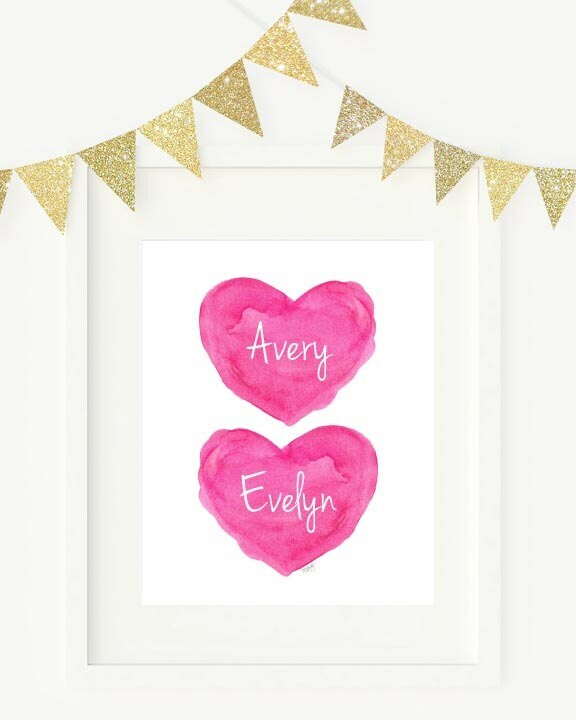 Twin hearts for your special girls! 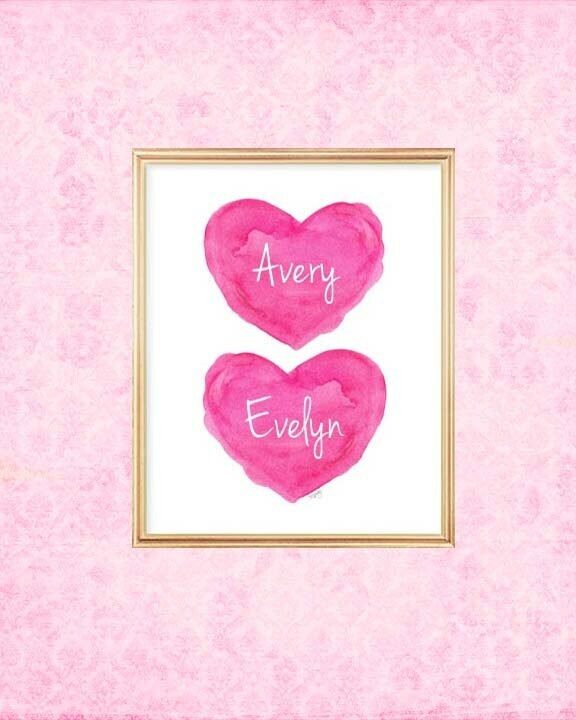 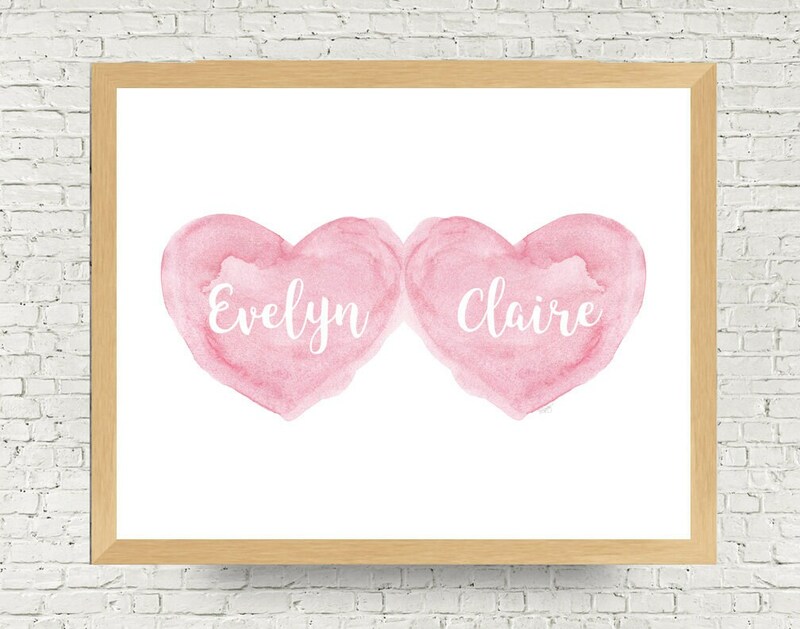 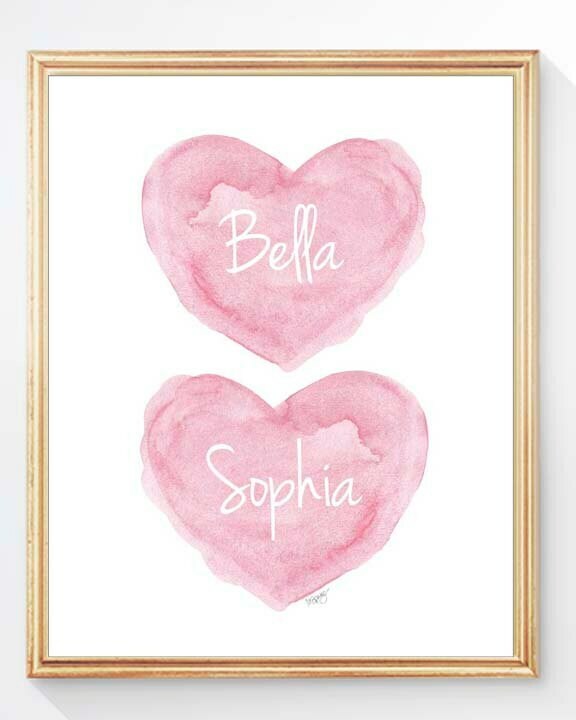 Personalize my most popular watercolor heart with both your girls names. 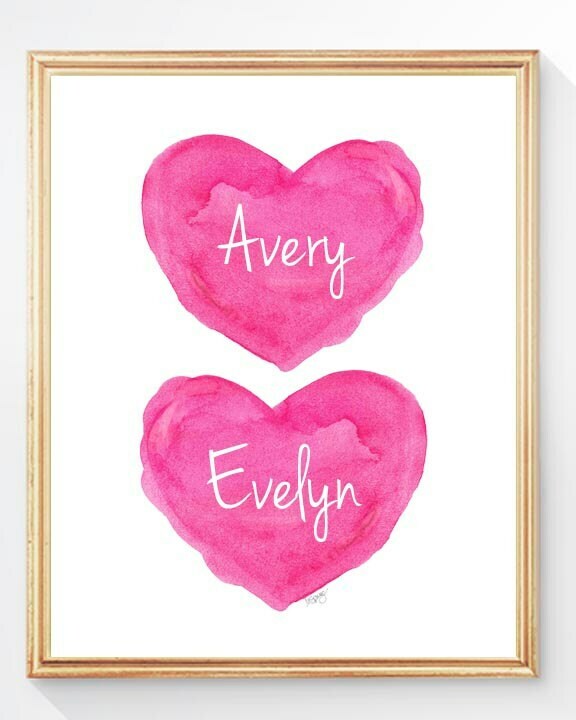 Created from my original watercolor painting.Lovely for a gift welcoming new babies into the world. 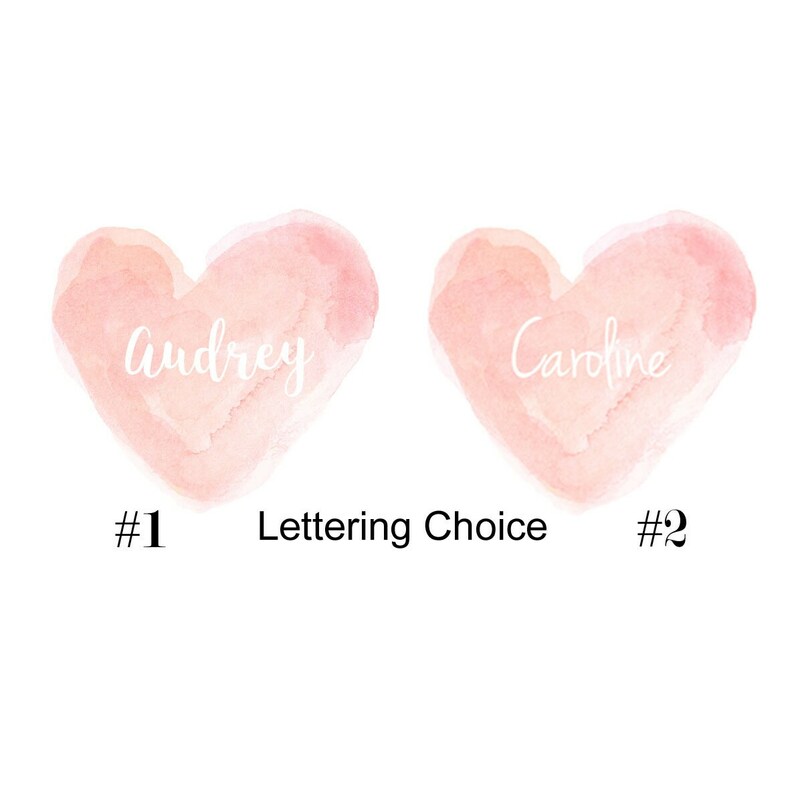 Please include the name in notes to seller at checkout and see the chart in the listing for the lettering style choices. 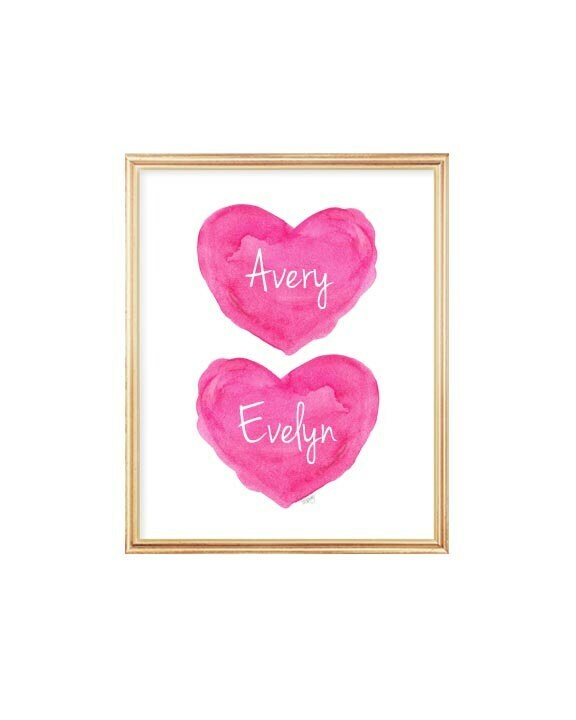 Fits perfectly in a 8”x 10” frame with no mat, or you can use a standard 8x10 mat and frame in a standard 11x14 frame. 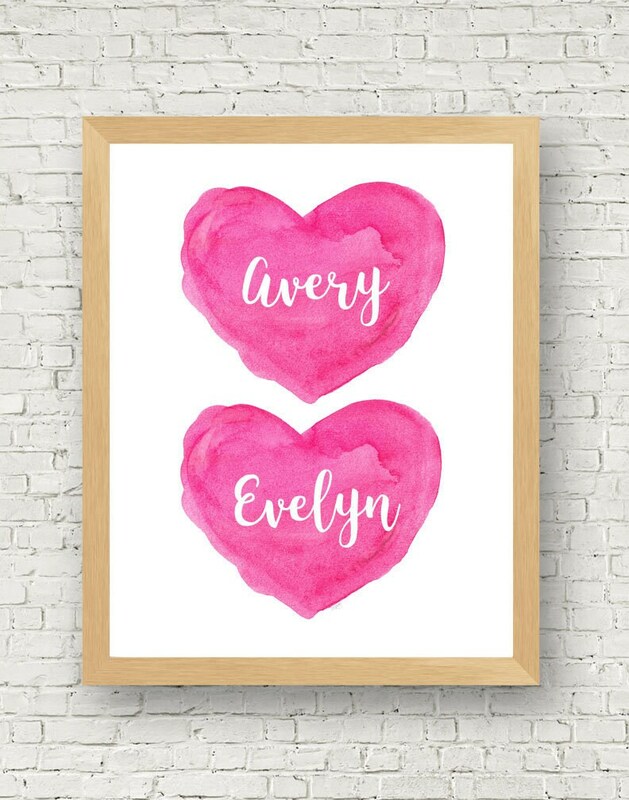 Love this item...great seller...shipped quickly, very happy with print...thank you!